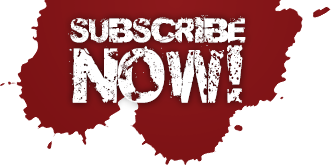 Fort Collins, Colorado – April 29, 2014 – Critically acclaimed Permuted Press announced the impending publication of local author Jason Bovberg’s apocalyptic horror novel Blood Red this month. Blood Red, which has a vivid Fort Collins setting, tells the story of 19-year-old Rachel, who wakes up one morning to find that her college town has endured some kind of apocalyptic event. She embarks on a desperate search for her father that finds her racing through Fort Collins streets and past local landmarks in the grips of a world-ending crisis. The local aspects of Blood Red are essential to the book’s plot, from the various outdoor scenes set in local neighborhoods, to the importance of a “fictionalized” Poudre Valley Hospital, to one chapter set in complete darkness inside the Target location on College. Also vital to the plot are the ubiquitous evergreen trees that dot the foothills and Rocky Mountains beyond Horsetooth Rock. Book two, coming in 2015, uses the downtown library as its primary setting. 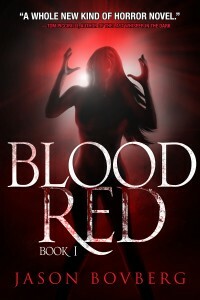 Blood Red is available as a print book ($16.95) and as an ebook ($5.99) on Amazon.com and BarnesAndNoble.com. You can find the Blood Red Goodreads page at https://www.goodreads.com/book/show/20828228-blood-red. For more information about Blood Red, including reviews and other media, contact the author via the portal above.